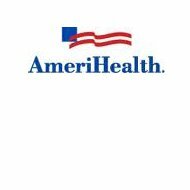 This Amerihealth Health Insurance Company review is a review of Amerihealth Insurance. Amerihealth is a health insurance company that was founded in 1995. Almost twenty years later, the Amerihealth Insurance Company has over 265,000 members. Search for the best health insurance rates in your area today with our free online tool. Enter your zip code in the box above now! The Amerihealth Insurance Company provides quality health insurance programs, and has been recognized by the National Committee for Quality Assurance. The Amerihealth Insurance Company has five main office locations. In addition to the employee benefits, the Amerihealth Insurance Company offers a competitive salary. The address for the Amerihealth Insurance Company human resources department is 1901 Market Street, Philadelphia, Pennsylvania 19103. Amerihealth Insurance offers multiple types of health insurance products. Amerihealth Insurance offers individual health insurance coverage in New Jersey and Pennsylvania, Medicare coverage in New Jersey, Pennsylvania, and West Virginia, small business group health insurance in Delaware, Pennsylvania, and New Jersey, and group health insurance coverage for large businesses with more than fifty employees in Delaware, New Jersey, and Pennsylvania. There are four main individual health insurance coverage plans offered by Amerihealth Insurance. These four main plans are the Amerihealth PPO plan, Amerihealth HMO plan, the Amerihealth Value Network, and the Amerihealth 65 HMO. When it comes to the Amerihealth PPO plan this is one of the more popular plans. PPO stands for preferred provider organization. This plan allows the policyholder to choose their own doctor from a network of highly qualified doctors. The Amerihealth PPO network also offers a wide range of hospitals and specialists to choose from. If a person decided to go to a doctor outside the network, they would have to pay more. The Amerihealth HMO offers a wide range of medical benefits. HMO stands for health maintenance organization. With an HMO, the policyholder has one doctor known as the primary care physician or PCP. If the policyholder needs specialized treatment that their primary car physician cannot provide, their primary care physician will give that policyholder a referral to another doctor. With a health maintenance organization there are no deductibles, no claim forms, and the expenses paid out of pocket are low. The Amerihealth Value Network is a health insurance coverage plan is a part of the preferred network plan. The value network plan is available at a lower price, which helps people with a more restricted budget afford quality health insurance coverage. The value network plan is available for all coinsurance health care plans as well as HMO, POS, HMO Plus, POS Plus, IHC, HMO, IHC PPO, and HSA. There is also an Amerihealth POS plan. With this plan, POS stands for point of service. This type of plan offers all of the freedoms of the HMO plan, but also allows the policyholder to choose their own doctor or hospital without having to have a referral. With this plan, the policyholder can also choose a doctor not in the network with a slightly higher cost. Use our free online tool today to find the best health insurance rates where you live. Enter your zip code to begin the search now!